The World living statue competition is testament to the popularity of this art form that is both entertaining and mesmerizing. We have several human statues for hire to choose from that will fit almost any themed event. We also can make custom characters as well if you are looking for something specific. Greek living statues are fantastic for live events. They add class and ambiance to virtually any decor and are an instant hit as they come alive and interact with guests only to return to stone. We also offer Classic Greek Love Statues – a greco roman duo who fall in love – appropriate for all ages and great for Weddings, Receptions, Valentines Day, showcases and any event that celebrates with good taste. Guarding the entrance of your private event, spartan statues are the perfect choice when building anticipation for what the night might hold. These magnificent statues lower and raise their shields to let party goers through a doorway or walk way. Pretty much the most epic way to decorate for an event. Did we mention the ridiculously awesome photos selfies guests will get interacting with the Spartan guards. This bronze human statue can look poetic or comedic as he walks against the wind embodying the toil of the modern business man. Wanting to honor someone in your company? We can customize this character a plaque to honor your epic boss or employee of the month. Choose between a verdigris patina and polished metallic version. Comedic German entertainment is an excellent way to get into the Oktoberfest spirit with German Man and Beer Maiden living statues by Pantaloon Productions. Great for laughs and awesome photo opportunities at festivals and private events. They make excellent human animatronic statues on floats that will have the crowd cheering - definitely the highlight of any German event. We believe in honoring the service of our veterans. 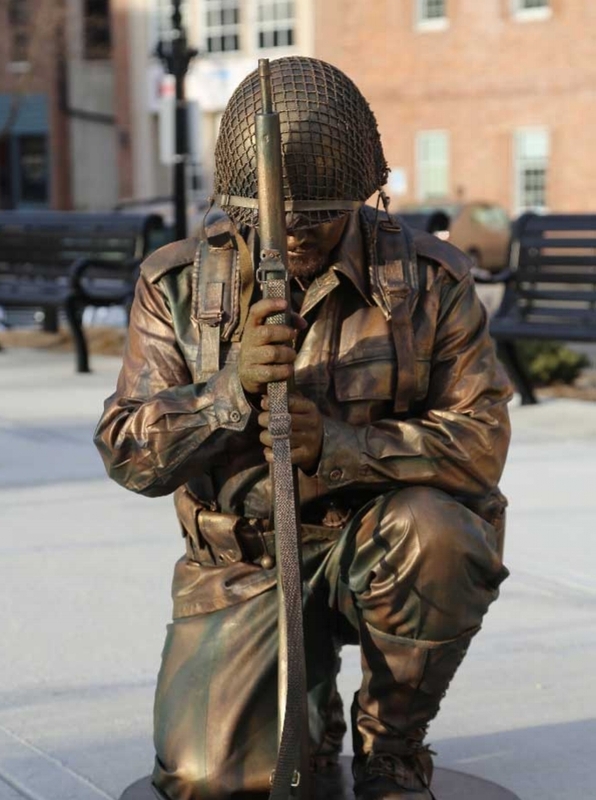 These bronze Army man living statues are our way of paying tribute to those who have served both present and past. Two types of performances are available. One is more somber in nature and the other a light hearted and comedic portrayal of soldiers in boot camp. Paired together they are both cathartic and a great way to honor the veterans in our lives. 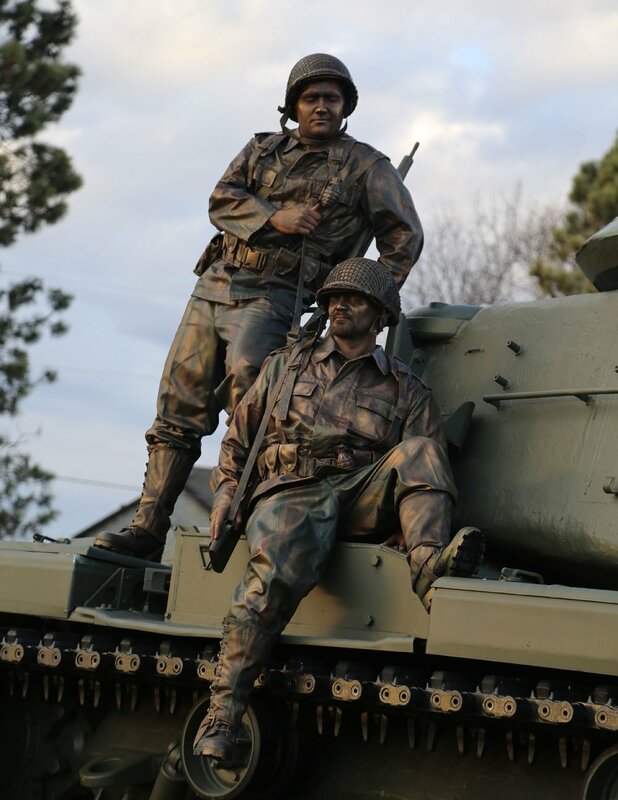 Be it at a special event on Veterans Day or Memorial Day, a birthday, or just as a way to say thank you for all you’ve done, our living human statues are quite moving even standing at attention and highly memorable! Best Milwaukee living statue! Our local bronze Fonz comes to life to celebrate Wisconsin festival culture. Serving as a social commentary on how the city of Milwaukee tends to be the life of the Wisconsin party. Enjoy the embodiment of all things Summerfest as the Bronze Fonz parties down on the dance floor and brings you back to yesteryear. Simply breath taking, our fountain statues flow with real water. Safe for indoor or out door events, this human statue is a unique opportunity to offer your guests something they have never seen before. Garden party entertainment and wedding photo booths are where these statues particularly shine. A patina aged general grant statue, blends in to most outdoor settings and goes unnoticed by most. It can come as quite a surprise to those not looking out for a human statue when it opens its eyes or comes to attention. If you want to mess with people, this character serves up a belly full of laughs. 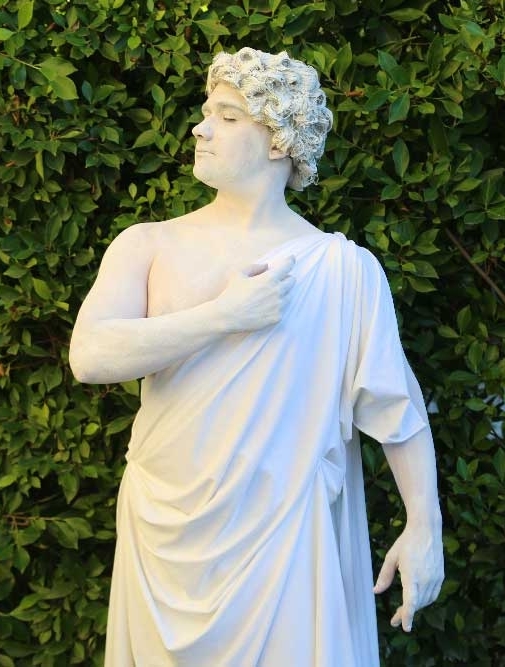 Classic Living Love statues of antiquity will grace your event as a beautiful tribute to romantic love. Assuming classical poses these human statues will come to life delighting guests as they move through a series of art inspired poses. A perfect way to add to the ambiance of a wedding, reception, or valentines day celebration. They also make highly entertaining photo opportunities with guests. This fun filled levitating living statue illusion is a great way to keep your guests entertained and guessing how its done all night long. Fits right into benefit galas, Auctions, Corporate events and such.